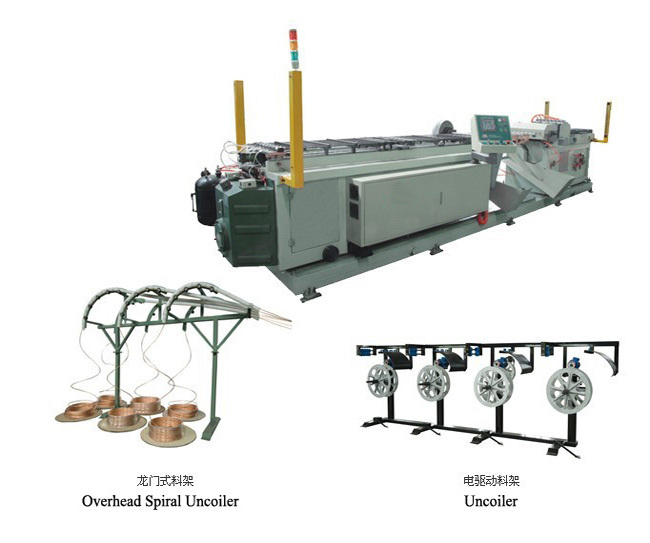 Automatic set-up of the hairpin bender and leg length adjustments can be accomplished through the use of a standard programmable controller interfaced with a touch screen. This also provides diagnostic information for trouble shooting, Semi-automatic control and manual actuation of all machine functions. 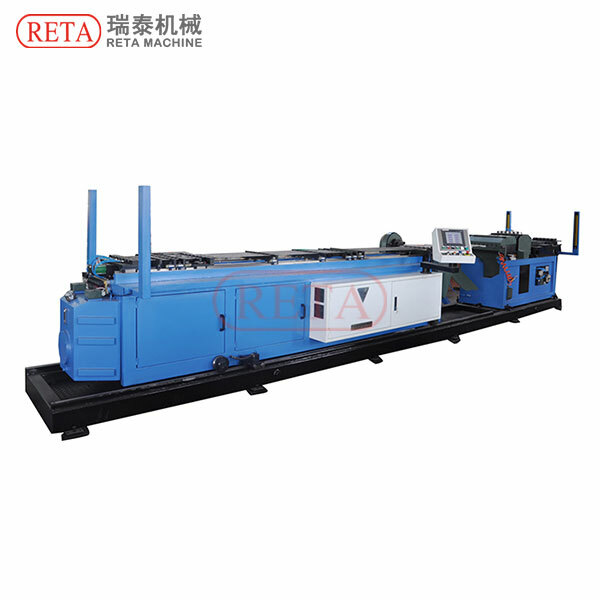 Additionally, The machine is capable of automatically positioning to specific hairpin length. Both legs of hairpin are adjustable through the touch screen and can be moved either independently or together by dedicated servo motors. The motors are capable of running at both fast and slow speeds to decrease setup time and facilitate precision adjustments. Over-travel switches on each axis help protect the machine with digital readouts on the touch screen display the current and target location in increments of 0.1mm. 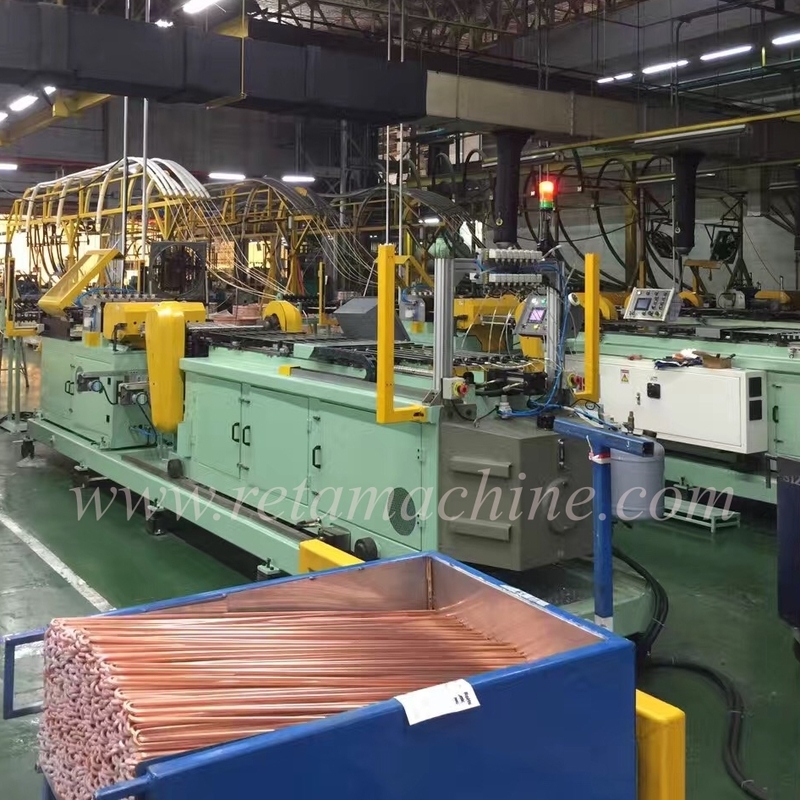 After the target location on each axis has been reached, hydraulic clamps lock in place to prohibit drifting.Cable/hose carriers are provided to the back of the machine and the switch tower area to prevent hose and cable damage and imprve the general esthetic of the equipment.